You shouldn’t miss this small and powerful mini robot in your equipment. 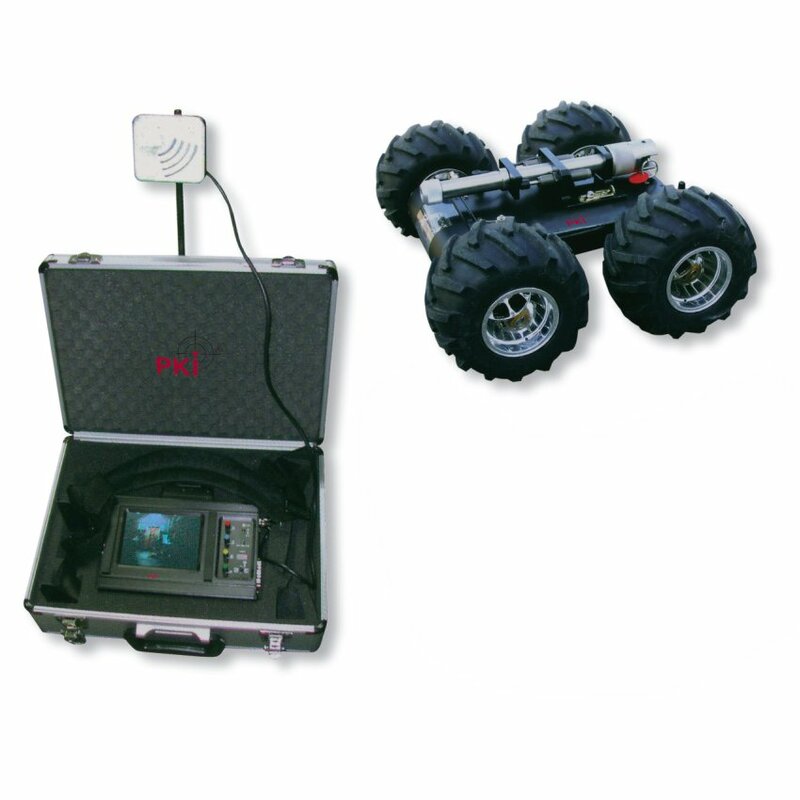 It is completely remote controlled up to 130 m and has a weight of only 5,6 kg. All 4 wheels are driven by electric engines and cameras with microphones are integrated at the front and at the back. The PKI 7540 can be used at day and night due to white and IR LEDs. A disruptor is mounted to the mini robot and can be activated by remote control. Further devices can be mounted on request. An additional cargo of 5 kg is possible.